I have just finished a great night watch. The boat is sailing brilliantly on a beam reach at 7.5 kts, we are making great progress towards the Marquesas where we expect to arrive in the first few days of May. We currently have about 2000 miles left to run to get there. I am pleased to report that fishing operations are on the up. I was allowed to play center forward yesterday whilst Marigold was rested after her exploits of the day before. We have a surfeit of Mahi Mahi. I was feeling despondent come 6 pm. Nothing, not even any flying fish to be seen. 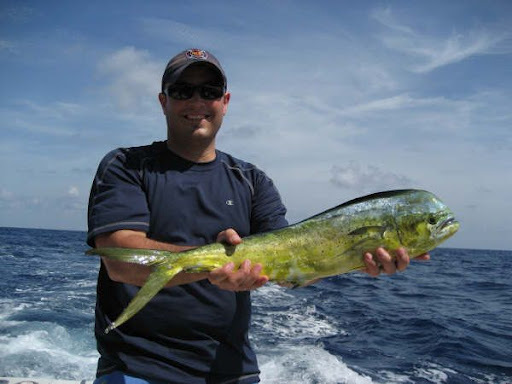 Then, just to save the day a Mahi Mahi jumped on my line. Today, roles reversed. Marigold was launched early in the center forward position 150 meters behind the boat and I took up position in a tangle free zone about 15 meters behind the boat. Well, lo and behold, two obliging Mahi Mahi decided to attack my lure and will make an appearance in the fish curry tomorrow. Sadly, Marigold failed to attract any attention, despite poaching in the penalty box all day. There is a strong rumour that she is being retired for a younger ‘ Marigold mark 3’ version to be constructed tomorrow. Life on the boat is currently good. Time passes without boredom, at the expense of lengthy debate. The recent one got going when I pointed out that we had made a further 15 degrees of longditude. This should mean that we have crossed a time zone and alter ship’s time by putting the clock back one hour. I had a small ulterior motive. 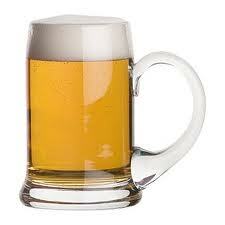 Ship’s rules allow two cans of beer a day plus a glass of wine with dinner. This is very civilised and very welcome. A sub rule is that the first beer can’t be taken until the sun is above the yard arm, i.e. after 12 noon. By altering ship’s time, that would mean that we could legitimately argue that 1200 was the same as 1100 and have the beer at 1100. This proposal encountered what I would classify as a religious objection from one member of the crew who doesn’t drink beer and who is sometimes referred to as ‘the Admiral’. To defend this undefendable position, the Admiral pointed out that when you go on your holidays, you only alter your watch 15 minutes before you land and by that reasoning we should alter ship’s time 15 minutes before we get off in the Marquesas. I built on this suggestion by reasoning that you may as well not change ship’s time until the end of the circumnavigation and ignore the International date line into the bargain. After a minor impasse, the issue was resolved by agreeing to alter ship’s time at 1300 back to 1200, so beer was delayed one hour today giving satisfaction to the Admiral. Every other day the beer comes an hour earlier. Honours even? We have one more time alteration before the Marquesas.